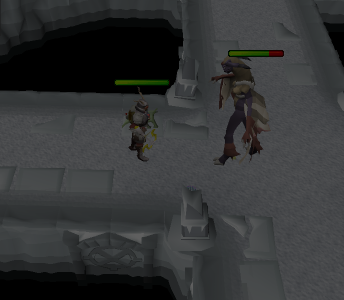 So in Ruse v1, the nex shadow phase works fine. But, on Ruse v2, it doesn't work at all. I looked at everything that contains the shadow on v1 and copy/pasted on v2. Still doesn't work. Here's Ruse v1 on how it looks. On Ruse v2, nothing even happens other than the chatbox saying the shadow is darkening my vision even though it's not. I even set shadow to 0 to see maybe I had to "dim the lights" more. Still nothing.